If you happen to have poor gut health, there are going to be ways that you can improve it. You’re never going to be stuck with poor gut health if it’s already there. You will always be able to change your gut health around if you really want to. Don’t assume that just because your gut health isn’t where it should be that it can’t be changed. It’s important to understand that this change isn’t going to happen overnight, but if you take the right steps towards changing your gut health, you will have a healthy gut much sooner than you think. When you make the decision to improve your gut health, there isn’t a specific set of rules that you need to follow. There is no one definitive answer that will for sure change your gut health around. It’s going to be a combination of different things. You could very well be a special case where you don’t need to do multiple different things to improve your gut health. Gut health can be a complicated thing to deal with. There is so much going on in your body. So many different working parts that are separate but work together at the same time. Below you’ll see 11 different ways that you can improve your gut health. I recommend that you try some combination of some of these methods. You may even want to try all of them. None of these methods are extreme and they should be viable for anybody that is serious about improving their gut health. If you haven’t heard of prebiotics, they are basically the food that’s going to allow the good bacteria in your gut to thrive more. Taking prebiotics can allow your gut to produce even more good bacteria, essentially shutting out the bad bacteria. The more good bacteria you have, the better for your gut health. 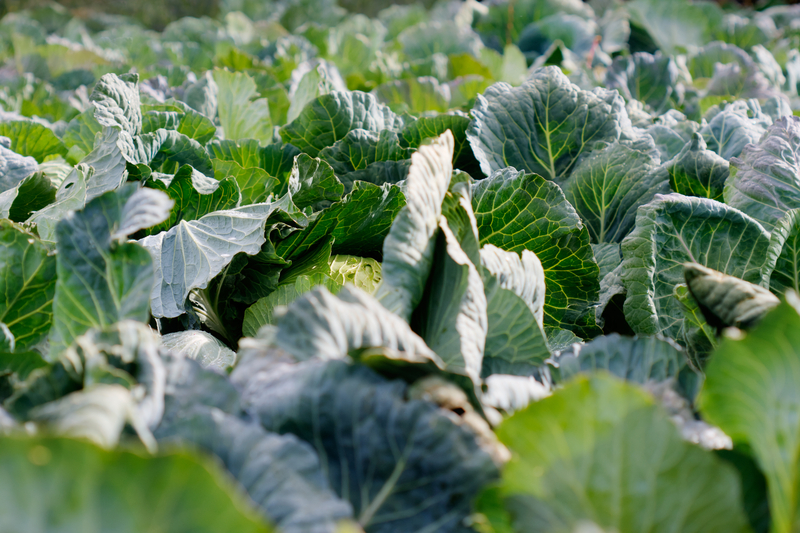 Prebiotics, when taken with probiotics are going to give them even more food to allow them to flourish. Your body won’t digest any prebiotics because they are technically fiber, but they set your gut up in a way that will take its health to a new level. Probiotics are much different than prebiotics even though only one letter separates them. Prebiotics are taken to help probiotics. When you take probiotics, you’re essentially adding more good bacteria to your digestive system. You take them to try and make your gut more diverse when it comes to the bacteria you have. When you have more diverse gut bacteria, your gut health will improve. Taking probiotics becomes more important when your gut health is poor. When your gut health is poor, the bad bacteria in your gut is doing more work than the good bacteria. Probiotics are going to allow you to negate some of what the bad bacteria are doing. Your good bacteria will start to take over a little more which is always a good sign when you want to improve your gut health. Although this doesn’t sound very ideal right away, fermented foods are going to greatly improve your gut health. They have been known to boost your immune system which is very closely linked to your gut health. Eating fermented foods is a way to get even more probiotics into your system. Again, when you have probiotics in your system, you are more than likely going to create more diverse bacteria in your gut. When this happens, the overall health of your gut is going to improve. This will allow your overall health to improve as well. I’m not saying you have to stay away from artificial sweeteners altogether. However, you do need to be conscious when it comes to the artificial sweeteners. Some studies have been done that show that these sweeteners can negatively impact your gut health. Artificial sweeteners are great if your main focus is on your weight. 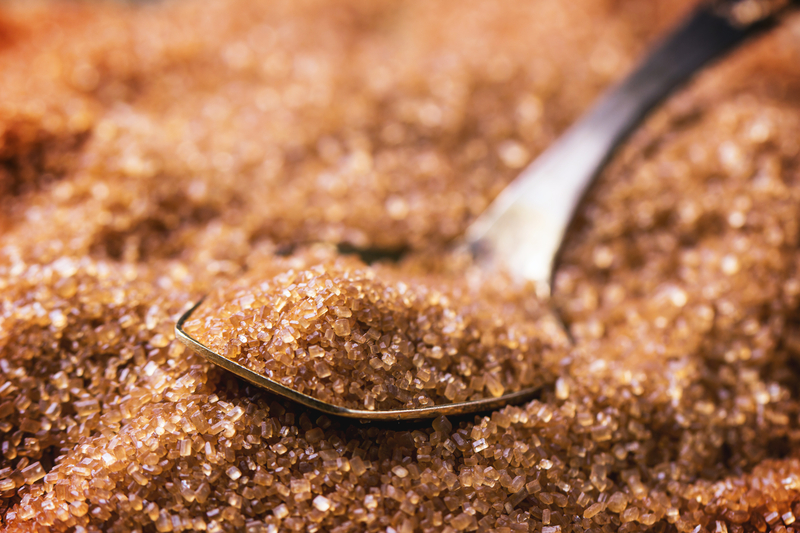 Cutting actual sugars is going to allow you to lose weight much easier. However, some ingredients in artificial sweeteners are going to change some of the bacteria that are in your gut. This is what causes the negative effect on your gut bacteria. This is why it’s recommended you stay away from artificial sweeteners when you’re looking to improve your gut health. Polyphenols are plant-based compounds that have a ton of health benefits. They’re able to reduce blood pressure, keep inflammation low, and help keep your cholesterol levels at something that’s manageable. The thing about polyphenols is that they aren’t necessarily digestible. When we consume them, they aren’t fully absorbed. The parts that aren’t fully digested by us are digested by our gut bacteria. Because of that, you can think of polyphenols as being very similar to prebiotics. They both feed the good bacteria and allow them to do their job much better. You can find polyphenols in foods like dark chocolate, red wine, broccoli, and blueberries. The reason it’s recommended that you eat whole grains to help improve gut health is that a lot of whole grains contain probiotics. You should know based on what was said earlier that probiotics are almost a necessity if you want to improve your gut health. 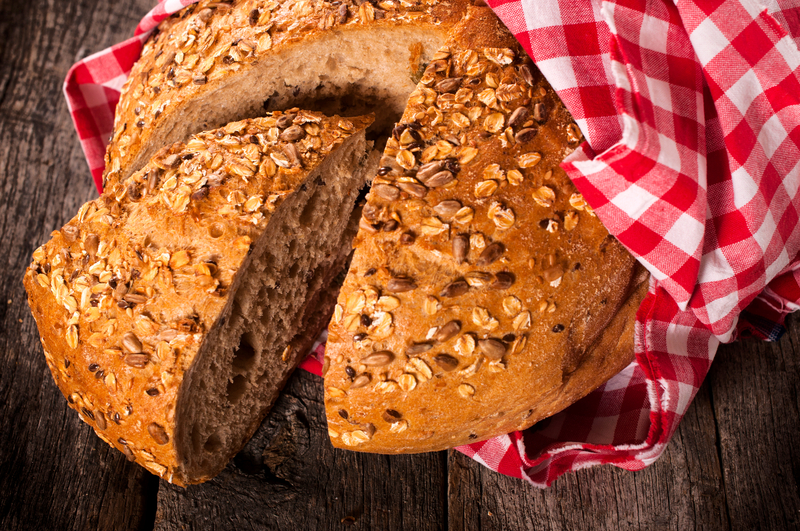 Whole grains have been known to reduce inflammation and reduce your risk of heart disease. This can be vitally important to people that have more problems that go beyond their gut health. Another benefit of eating whole grains is that they allow you to feel full for a longer period of time. In the long run, this is going to help you consume less food which could potentially cause your gut health to get worse. Yes, it can be that simple. Just go outside. When you go outside, you’re exposing your body to an almost endless number of microorganisms that exist in the world. When you expose your body to different types of microorganisms, you’re going to boost your immune system. Boosting your immune system really starts with your gut. Your gut bacteria need to be exposed to different things in order to make it stronger. Hence why simply going outside is going to greatly help improve your gut health. Just like going outside, exercising is going to expose your bacteria to a lot more than it would if you never exercise. Exercising more is going to force your gut to do more work. You’re going to be burning a lot more resources. When you burn more resources your body is going to be put through a lot more work. When you work more, your bacteria have to do what they can to keep up. The good bacteria need to do more as well to make sure that your body can function the way it needs to throughout the exercises you’re doing. This should probably go without question. If you’re trying to improve your gut health then I can almost guarantee that your diet isn’t as healthy as it should be. There’s a reason that you’re told to eat fruits and vegetables every day. You’ve heard the saying, “an apple a day keeps the doctor away.” In a way, this is true. At least when it comes to your gut health. A lot of fruits and vegetables contain probiotics that are only going to improve your gut health. This means that the more you eat, the more probiotics you’ll be putting into your gut. When you have a gut that’s full of probiotics, your gut health is more than likely going to improve. If you’re somebody that’s never considered cutting meat from their diet, then you might want to start considering it if your gut health is extremely poor. Changing to a plant-based diet can significantly improve your gut health. A lot of the meats we consume are either processed or pumped with growth hormones that are going to harm our gut bacteria in the end. The bad bacteria are going to love it though. People that have solely a plant-based diet are more likely to get all the nutrients they need without compromising their gut health most of the time. The people that have an average diet are more than likely going to eat food that will allow the bad bacteria in your gut to flourish. Eating a wide range of foods can improve your gut health. You don’t need to eat the same exact things every single day to stay healthy. In fact, that’s probably going to hurt you in the end. Having a wide range of foods in your diet is going to allow your gut bacteria to become more diverse as well. When you have a wide range of bacteria in your gut, the odds are in your favor for having a healthy gut. If you know that your gut health is poor, you don’t have to allow it to stay that way. You can easily improve your gut health. It’s going to take some time, but it can easily be done. You just have to stay patient with the process. If you can give your body time to adjust to the changes you’re putting it through, your gut health will be improved in no time. 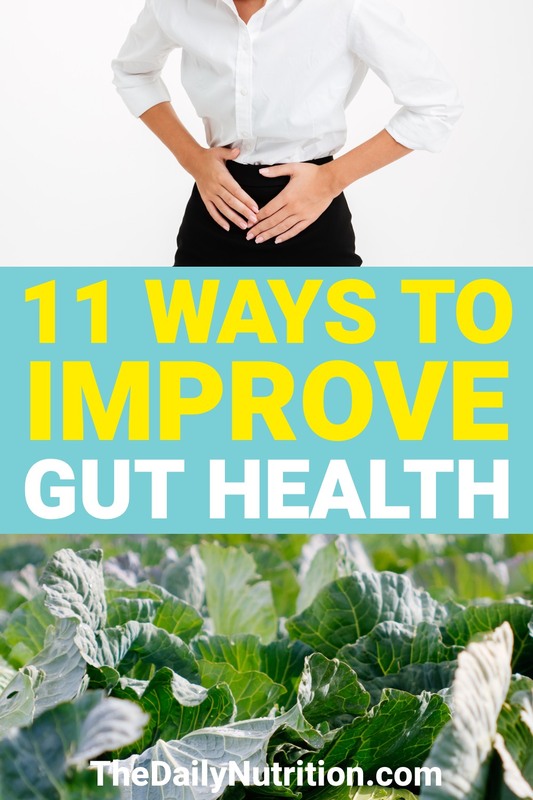 Enjoyed 11 Ways That You Can Improve Gut Health Right Away? Share it with your friends so they to can follow The Daily Nutrition journey.